I think it's safe to say that most members of this site are excited about the new miniseries What are some things in particular you are looking forward to? Or what things do you have especially high hopes for? Mine was already fulfilled, could not be happier and satisfied. Bluebell is in the series, BLUEBELL !!! That's all I wanted. Already others are Watership down extras, which I will certainly appreciate and surely buy the DVD. And apparently the subject was to be mature. At least with that I am satisfied. I already have the movie, the book and the series to complement anything. *Hugs* It is indeed. 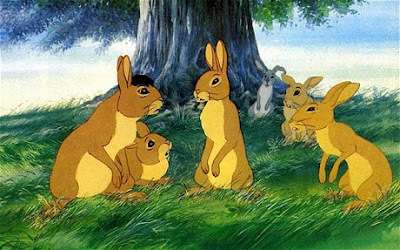 I'm really looking forward towards the maturity of the story while also having a good story arc in its adaptation of Watership down. I'm also looking forward towards the type of animation be used for the show. I hope the book chapter in which Hazel returns back to the Down riding in the hrududu is depicted this time. I always thought that was such a cool touch and it was sadly ignored in the first film. I also hope that more emphasis is placed on Lapine and that Blackavr ISNT killed. I agree Bluebell needed to be included. But did Pipkin get left out? I agree and hope so as well my dear Rabscuttle, though, in the first film, Pipkin was not left out. *Hugs* Luckily it is divided into 4 parts, so hopefully there will donate more time into more details from the novel. Unfortunately, it does seem Pipkin will be left out. He is not listed on the IMDb cast page Although I'm glad we will get to see some other characters such as Thethuthinnang and Bluebell. Hazel riding in a hrududu would be an ezcilant scene to be added in. I am also hoping for a few el ahrah stories in there and seeing a different stile when they do so. I also hope it will have a fair amount of blood in it like the movie. 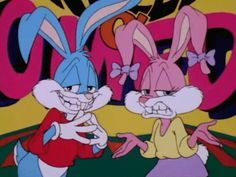 After Bigwig, Pipkin was one of my favorite characters in the first film. And in the book as well. Poor Hlao roo. He was so loyal to Hazel. If he gets left out, who will float on the board with Fiver?